Every calorie counts once we reach our 50s. But most of us tend to keep eating like we're 25. That's a problem because our metabolic rate has decreased ... as much as 5 to 8 percent every decade. To lose weight, we have to adjust to this slower metabolic rate. That doesn't mean counting every pea, but it does mean every calorie counts. Another concept Baby Boomers need to embrace is healthy eating doesn't equal weight loss. If you're thinking, "I have cut out all processed food. I eat organically and I mainly eat salmon and olive oil, but I'm not losing weight." You could be organically growing your waistline. It's important to note that a serving is a serving. A half cup of brown rice is the same as a half cup of white rice when it comes to measuring portions for weight loss. Will the brown rice pack more power in terms of fiber and other benefits? Absolutely! But will it make you lose weight faster? No. And can you eat more of it because it's healthier? No. This is an essential concept to grasp because so many people assume eating heart-healthy foods like salmon, olive oil, avocado, brown rice and sweet potatoes means free rein to eat unlimited portions. But it's all about portion control, no matter how heart-healthy, low-fat, organic, gluten-free or low-carb that food may be. A hormone called ghrelin controls hunger and drives our appetite. If we don't understand, monitor and control our ghrelin, we can forget about losing weight. Ghrelin is one of our bodily survival tactics--a hormone secreted in the stomach to ensure we eat. Research now shows that ghrelin spikes due to lifestyle behaviors like delaying and skipping meals, lack of sleep, after exercise (especially in females), avoiding carbohydrates and the act of losing weight. · Eat breakfast within an hour of waking. It's the most important meal and drives your entire day. It determines how much you're going to eat at 4 p.m. It will control ghrelin and set you up for success. · Do not skip meals. You need to eat every three to four hours to control ghrelin, so depending on how many waking hours you have, you may need four meals or you may need six. · Try to combine carbohydrates and proteins at every meal or snack. This way, you get the optimal blend of nutritional elements to fight cravings, control hunger, gain energy and stimulate fullness. Protein increases your metabolism while carbs lower ghrelin, help with brain function and decrease cravings. 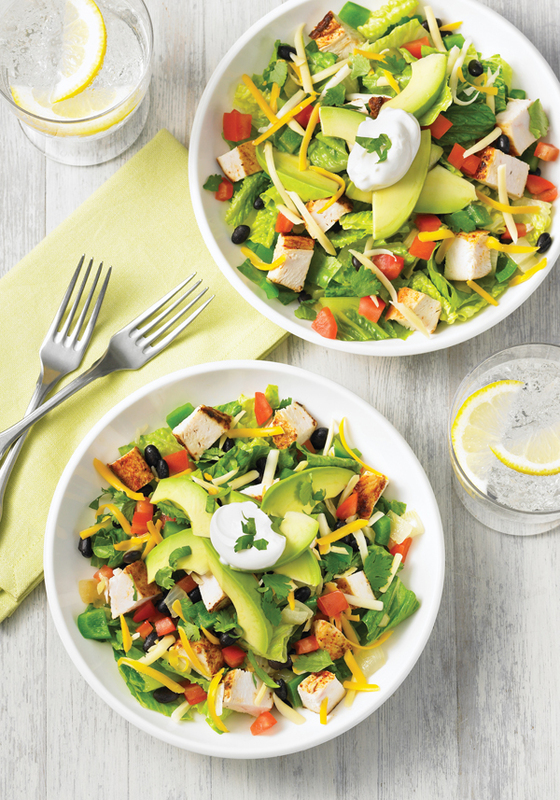 For lunch, try a salad with chicken or fish. Add a carbohydrate such as quinoa, garbanzo beans, lentils or brown rice. Snack on an apple and a piece of turkey, low-fat cheese or a hard-boiled egg. · Don't focus on the time you stop eating. Instead, follow the 70/30 rule, which means you should eat 70 percent of your calories before dinnertime and 30 percent at dinner, whatever time that may be. Just make sure you have 90 minutes to digest so you can sleep comfortably. · Stay hydrated. You've heard it a million times, but drinking water is essential for keeping energy up, aiding metabolism, burning fat and more. It's the fluid your body needs for life, and it's an instrumental part of weight loss. Other fluids can be useful, but water is obviously the best choice because it is calorie free. But you can forget the whole eight glasses a day thing. Just relax and remember to have a healthy amount of water whenever you think of it. Thirst can confuse your sense of hunger so make sure you stay hydrated. Many women tell me they're eating healthy, staying active, doing very well in general yet they're gaining weight. It's easy to put on a pound a year during peri- and actual menopause, which often adds up to 10 to 15 pounds in the midsection. There are a few reasons this happens. On average, women tend to become less active during this time. Metabolism and muscle mass decrease, and hormones change. Of course, your body's hormones have a direct impact on your appetite, metabolism and fat storage so weight gain during this time is more likely caused by hormones rather than overeating. In your younger years, you may have gained in the hips and buttocks, but now you'll notice you gain in your waist, which has to do with low estrogen. So what's the solution? Typically, you have to eat less. On average, menopausal women need to eat about 200 fewer calories a day. To give you enough carbs to fuel your brain and prevent sugar cravings, I recommend a 45% carbohydrate-30% protein-25% fat formula. If you're approaching menopause and haven't yet gained, start cutting 200 calories a day from what you're used to eating, and that will help you maintain the healthy weight you currently enjoy. The tricks described above can help you outsmart your hunger hormone. Also, begin weight training to build muscle mass because muscles break down as we age. Remember muscle mass drives your metabolism so if you keep it strong, your body will regulate your weight as an added bonus. If you've already gained weight because of menopause, you can adopt the Eating Free plan discussed below to lose weight. It's a little more challenging at this time, but if you increase everyday activities like walking and taking the stairs, you'll find it much easier to achieve your goals. With years of research and client case studies under my belt, I developed the Eating Free program to treat the entire individual by taking into account all these behaviors. While many diets simply count calories, reduce intake and promote exercise, our approach is holistic and balanced, addressing factors like stress and sleep in addition to nutritional intake. It's an empowering new way to understand your own potential for weight loss and to forge your own path to success. While it's possible to lose weight simply by cutting calories, it may not be what I call quality weight loss. You may decrease muscle mass and bring on depression, hunger, cravings and unsustainable behaviors. To give you enough carbs to fuel your brain and prevent sugar cravings, I recommend a 45% carbohydrate-30% protein-25% fat formula. By carbohydrates, I mean whole foods, like fruits, grains, quinoa, brown rice or legumes, and sweet potatoes ... not processed foods. This formula also delivers enough protein to prevent muscle breakdown, keep your metabolism going and control ghrelin. It also ensures you get the good fats you need for your health and that you enjoy what you eat. Best of all, Eating Free celebrates food and eating. That's because I adore food. As a native Peruvian, food is an integral part of my culture -- an essential component of family life and social gatherings. I bring that spirit to my work, and to the program, so I can promise you, Eating Free means eating free of guilt, free of deprivation, free of food boredom and binging. To understand the Eating Free philosophies, read the book. To apply what you've learned, use the free online tools at Eatingfree.com. Banana bread is a traditional favorite. By substituting agave nectar for sugar and applesauce for oil, you can enjoy this sweet treat with less sugar, less fat - and no guilt. Your family will love it! Place the bananas in a large bowl and mash with an electric mixer. Stir in agave nectar and let stand for 15 minutes. Note: Because agave nectar has a lower glycemic index than sugar, you need less and it browns sooner, which is why the bread is baked at a lower temperature for a longer time. Add the applesauce and eggs and beat well. Add the remaining ingredients and mix thoroughly. Pour into a 9" x 5" loaf pan coated with nonstick vegetable spray. Bake for about 75 minutes or until a wooden toothpick inserted in the center of the loaf comes out clean. Note: Every oven is different so the total baking time may vary. Use a toothpick at 60 minutes to check the bread's doneness. Remove from the oven and let stand for 10 minutes before removing from the pan. Cool on a wire rack. 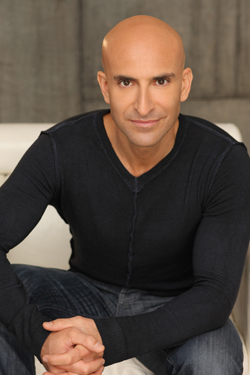 Manuel Villacorta, MS, RD, is an award-winning registered dietitian with more than 16 years of experience, an on-air contributor for Univision television, a health and lifestyle contributor for Fox News Latino, and a health blogger for the Huffington Post. 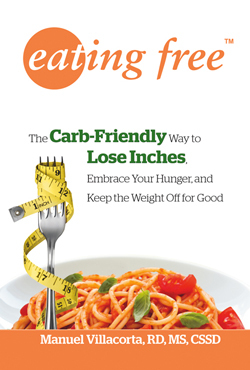 He is a national media spokesperson for the Academy of Nutrition and Dietetics, the founder of Eating Free and author of Eating Free: The Carb Friendly Way to Lose Inches, Embrace Your Hunger and Keep Weight Off for Good!